Micropigs can make charming, highly intelligent pets, although sometimes their size isn't as mini as one might expect. This spotted micropig, however, hasn't outgrown taking a bath -- but he isn't quite ready for a bathtub. 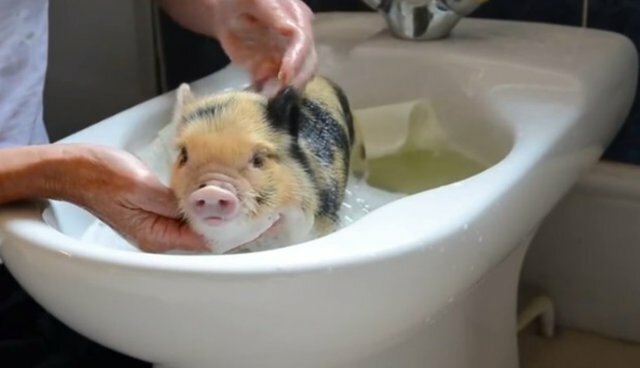 Listen to the spotted little pig squeal with delight as he enjoys a warm bath -- not in a tub, but in a bidet.